As the camera proceeds down the corridor — with Abe Sapien and Tom Manning talking — other BPRD agents are seen trying to hold down a tentacled monster, aptly-dubbed the ‘Lovecraftian Entity’. 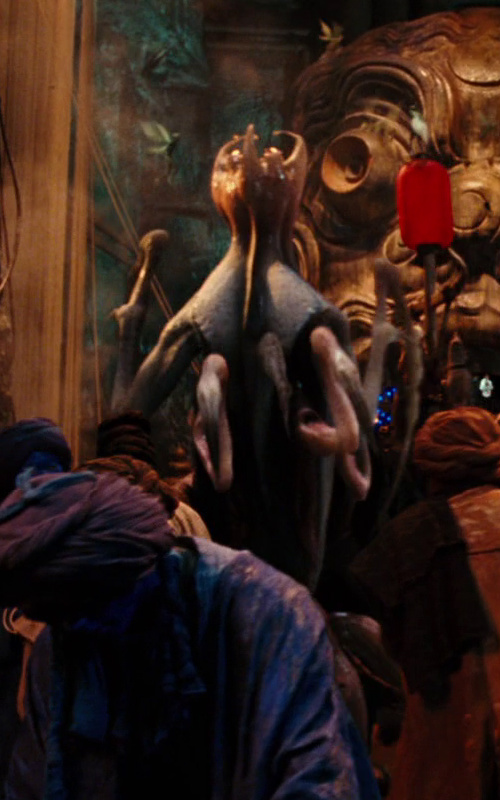 As the name suggests, this creature was conceived as a homage to the Lovecraftian elements rooted within the Hellboy comics and films, and was inspired by the descriptions of the Elder Things in H.P. Lovecraft’s At the Mountains of Madness. 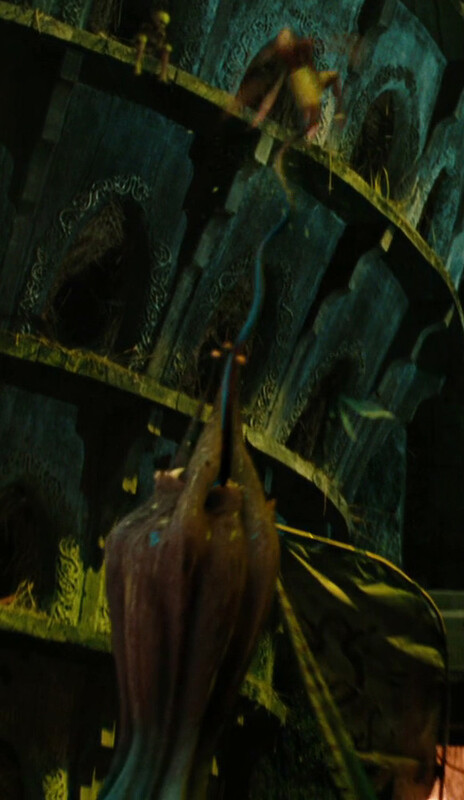 As such, it sported a radially symmetrical body, with multiple limbs and tentacles, as well as an inverted squid head. Based on a Spectral Motion design maquette, Double Negative crafted the complex digital model. 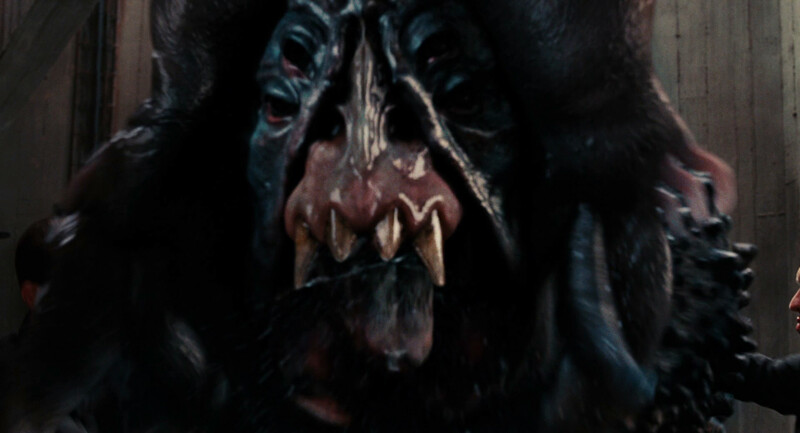 In integrating the creature within the film footage, the DN crew met similar issues to those they had with the Berserker. “We had massive integration issues,” said Butler, “because we had people holding down a guy in a green suit, and the guy didn’t look anything like the character. 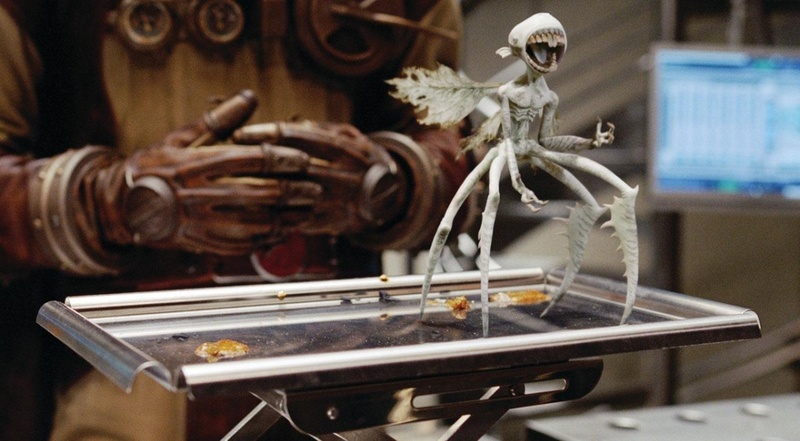 So we ended up replacing a lot of the limbs on the agents in that shot, too.” Other members of the species are seen walking around the Troll Market — one even snatches up a flying fairy with an extensible tongue. 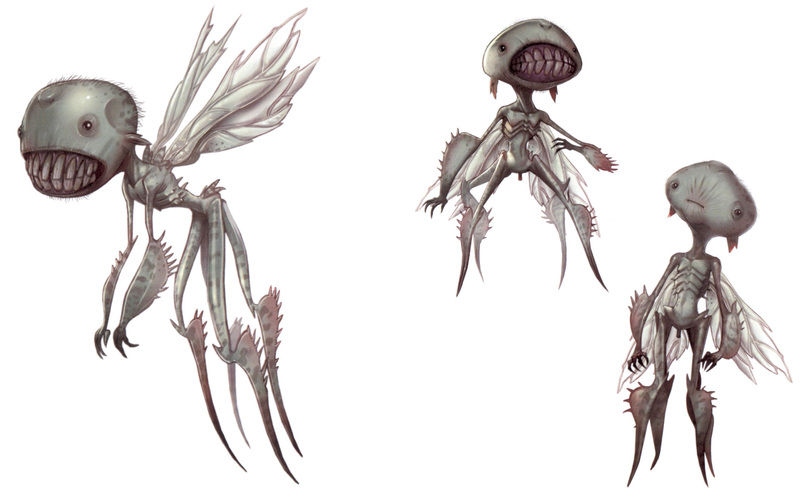 These small, ravenous creatures were designed by Francisco Ruiz-Velasco, based on Mignola drawings. The overall appearance of the characters was nailed down relatively quickly, and then refined by Velasco and Barlowe. 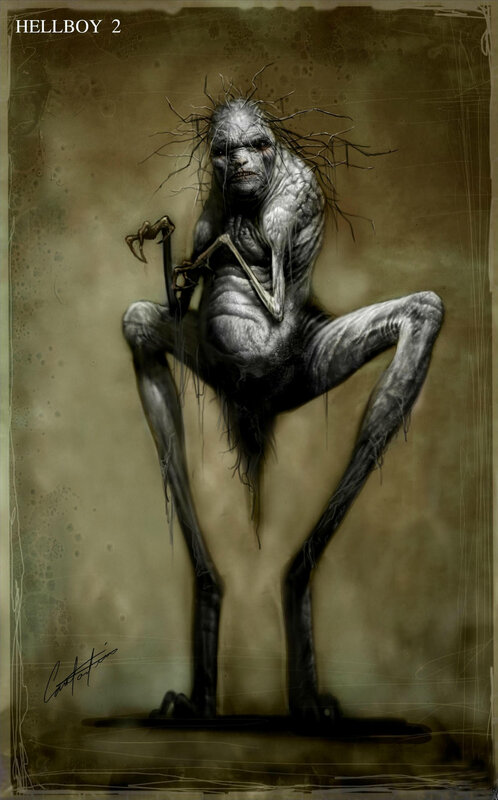 The tooth fairies were nine-inch-tall exoskeletal creatures with semi-translucent wings and a small mouth that could open wide to reveal rows of sharp teeth. In another interview, Butler elaborated further: “The animators would keyframe a number of guide creatures for the technical directors to follow. The TDs would then implement Double Negative’s proprietary swarm tool to create a particle simulation. This sim would form the basis of the speed and direction of the creatures. 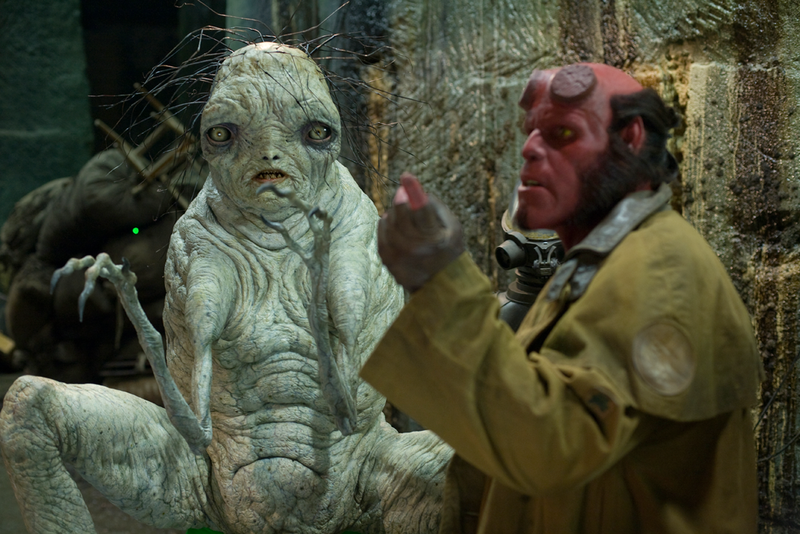 Animation cycles and behaviors were sampled and combined to create the creature’s actual motion. 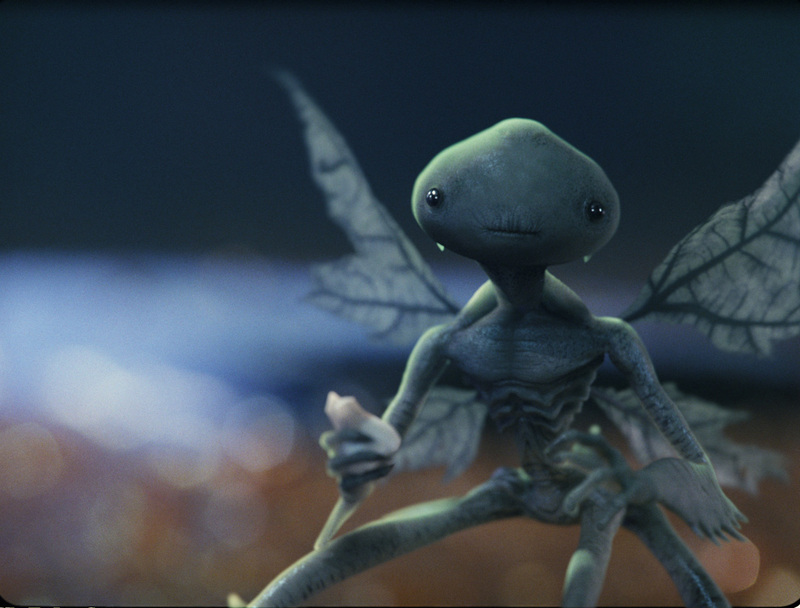 Many iterations were needed at the start of production to find the behaviors that worked best.” Another tool, Director, allowed swarms of creatures to be created without overloading the computers: fairies could be laid into the scenes in foreground, midground and background layers. 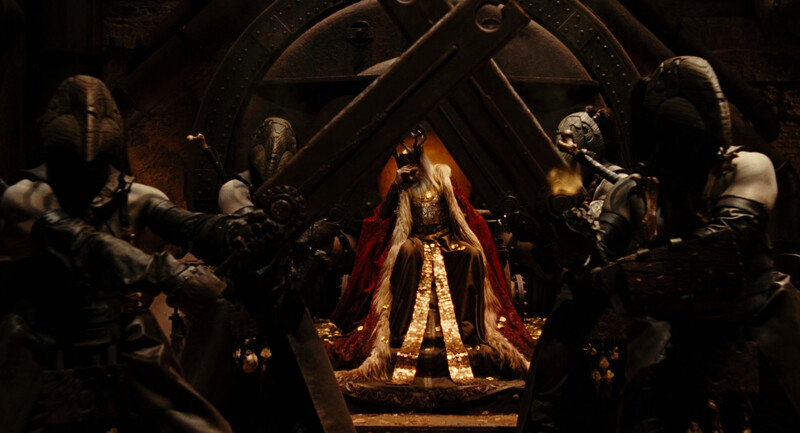 The Chamberlain that stops Prince Nuada from entering the royal chamber was another Spectral Motion creation, designed by Chet Zar and played by Doug Jones. 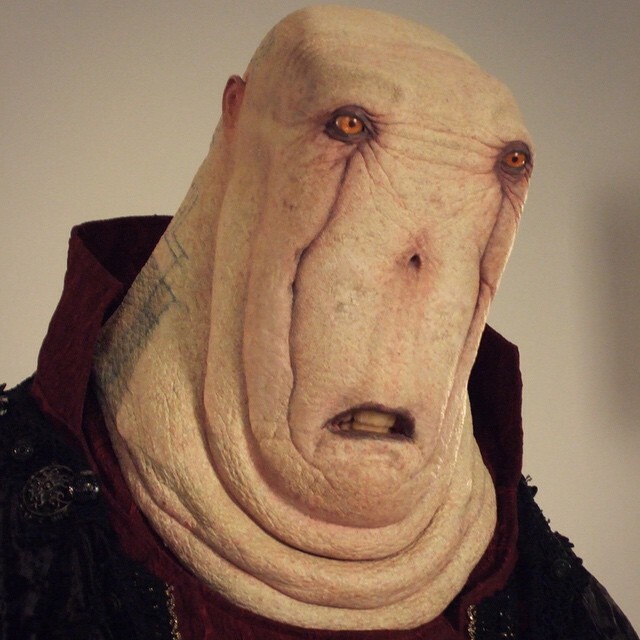 The artist was given absolute freedom in designing the character, with the only guideline that it would have to be a ‘hybrid make-up’ — an expedient Del Toro had used on Pan’s Labyrinth — where the top of the head was an animatronic element, but the mouth would be the performer’s, covered in make-up blending with the rest of the head. To locate the Troll Market, the BPRD agents interrogate a bizarre-looking troll, the Fragglewump. 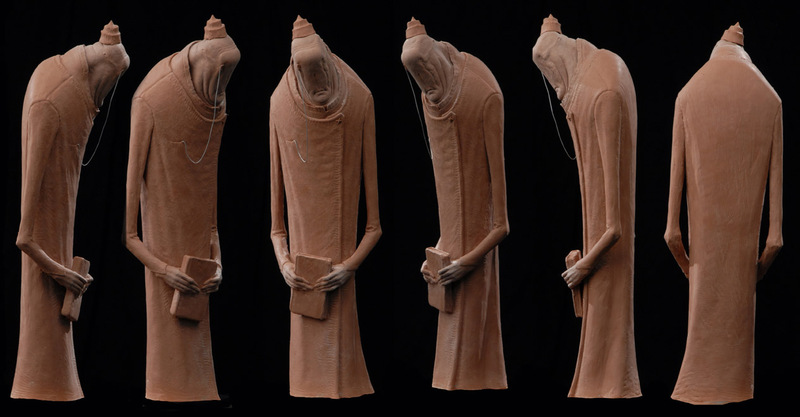 This monster was envisioned by Constantine Sekeris as a bloated and deformed humanoid combining mammalian and insectoid traits — with thin, spindly arms and long, grasshopper-like legs. 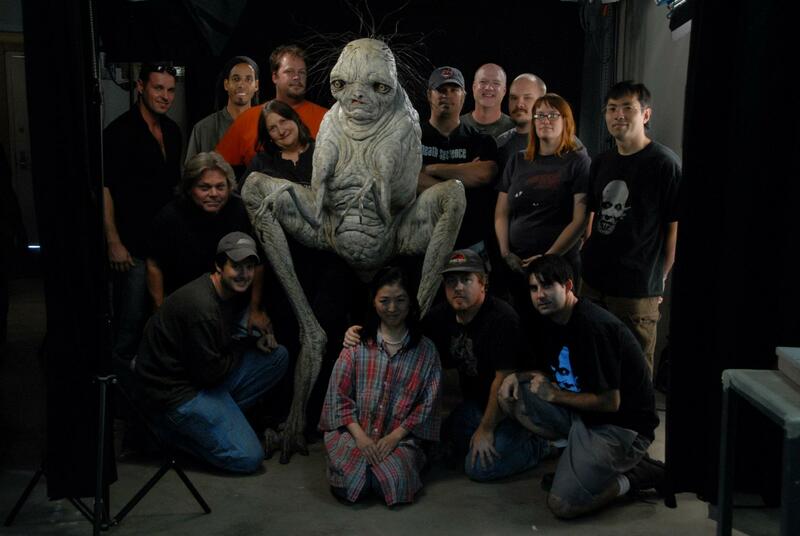 From there, design and construction of the creature was headed by David Grasso. Despite the Fragglewump’s anatomy and proportions, it was realized as a large creature suit donned by Brian Steele — and featuring another example of the ‘hybrid make-up’ approach, with the top of the head down to the nose being animatronic, and the character’s mouth being Steele’s, covered in make-up. 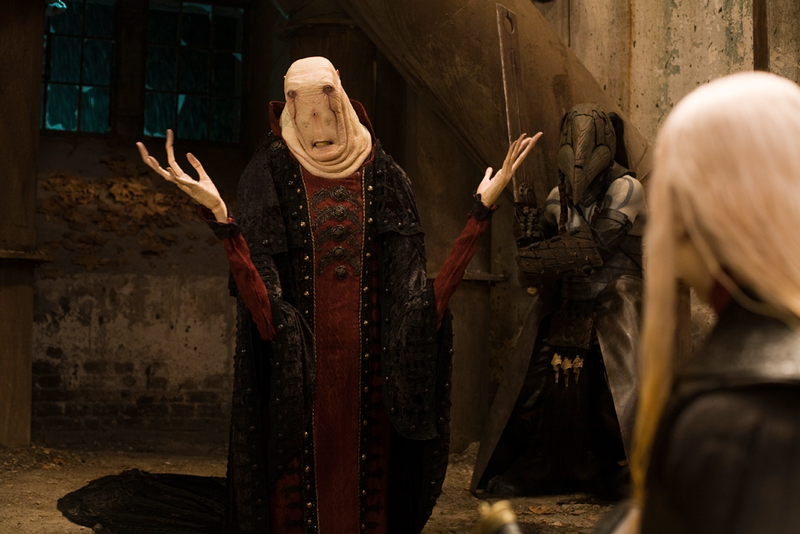 The suit was largely faithful to Sekeris’ design, with the exception of the eyes — whose size was increased to make the character more comical. Grasso related: “Constantine’s original design had smaller eyes and in many ways was sort of creepier-looking, so we started doing that and then we got feedback from Guillermo that he wanted the eyes to be really huge. At first, we weren’t really crazy about that idea, but we said, ‘well, Guillermo knows what he’s doing,’ so we did them bigger and he didn’t like it and we had to make them really huge, but when I saw footage of it put together, he was right, it made it funnier, which is what it’s supposed to be.” Other subtle details included the troll’s shark-like teeth, worn as prosthetic dentures by the performer. 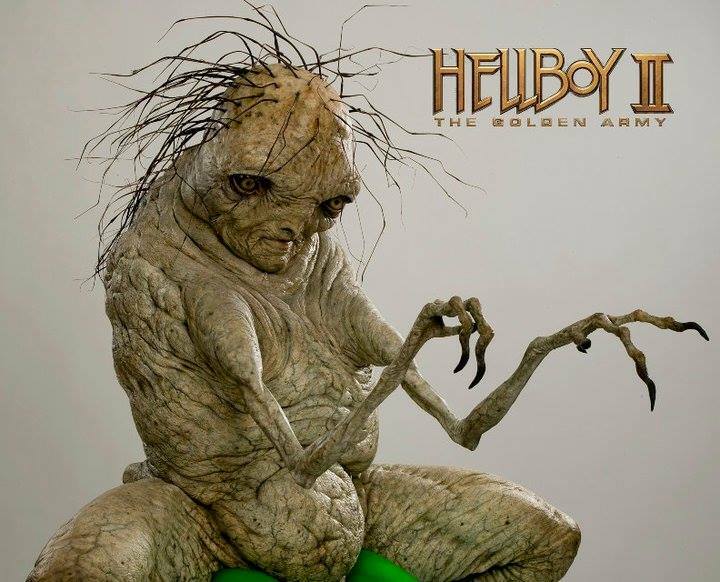 Posted on 25/06/2018, in Movie Monsters and tagged Brian Steele, Chamberlain, Creature FX Inc., Doug Jones, Fragglewump, Guillermo del Toro, Hellboy, Hellboy II, Solution Studios, Spectral Motion. Bookmark the permalink. Leave a comment.